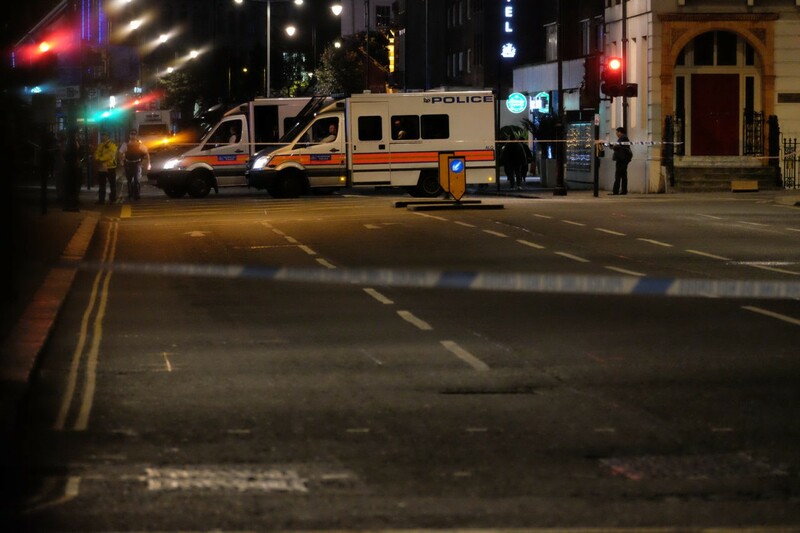 One woman has been killed and five people have been injured “Somali Origin” man with a knife attacked people, apparently at random, in the busy area of Bloomsbury in Central London. Update Aug 5, 15:28 – The Mail reports the attacker’s neighbour says that mental health is being used as a “scapegoat”. The 36-year-old said: ‘They said he had mental health issues but that was not the boy I knew. Asked what he thought motivated the attack, Parmjit said: ‘I think peer pressure, hanging around with gangs. He wasn’t working, he was hanging around with Somalian boys and I think they had possible links to serious ISIS people – not directly, but they see all this stuff and are inspired by it. ‘Why would he attack an American woman tourist in a random attack? I think boys have put pressure on him to go there and do something. He was very impressionable growing up’. 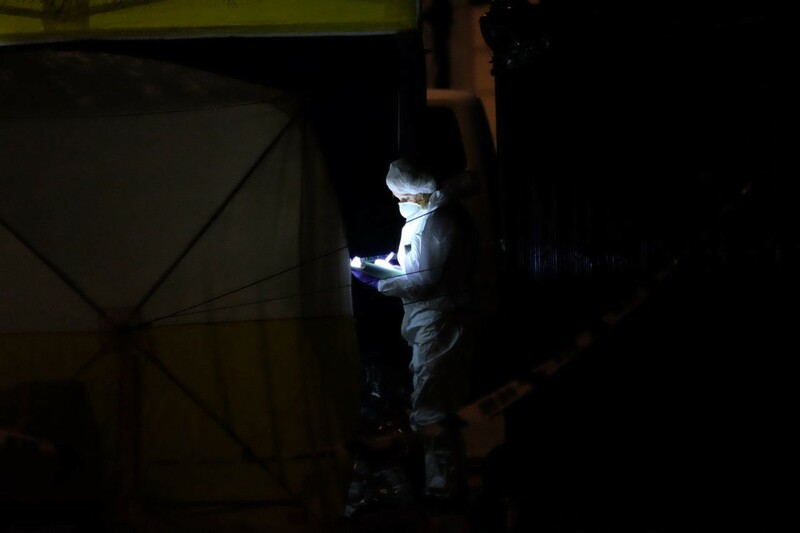 Police have this evening identified the 19-year-old Somalian heritage male arrested this morning on suspicion of murder as Zakaria Bulhan. If Mr. Bulhan had social media accounts on services such as Twitter and Facebook — not uncommon for 19-year-old men of any nationality in London — they have been removed from the internet. Despite this, an unverified account on book website Goodreads which may belong to the killer and has stood apparently dormant since 2015 shows interest in titles like Sirat-un-Nabi, a major biography of Allah, No god but God: The Origins, Evolution and Future of Islam, a text on developing liberal interpretations of Islam by Reza Aslan, and Riyad-us-Saliheen, a “collection of sayings of the prophet Muhammad”. Instead of a profile picture illustrating the user Zakaria Bulhan himself, the Goodreads profile shows an image bearing the text: “Knowing is not enough; we must apply. Willing is not enough; we must do”. 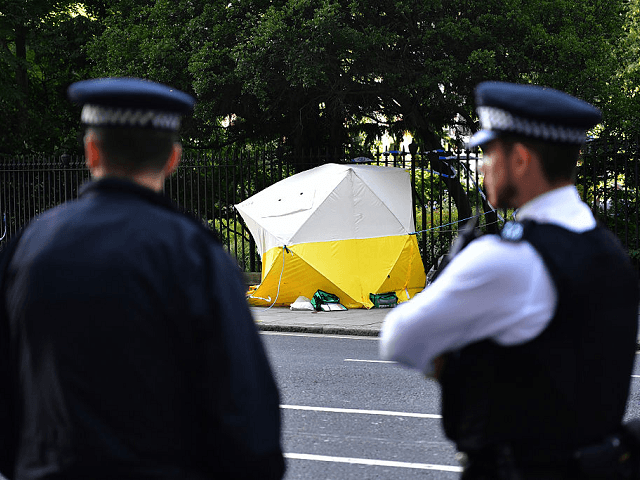 Speaking earlier, a spokesman for the Metropolitan police said: “Whilst the investigation is not yet complete, all of the work we have done so far increasingly points to this tragic incident having been triggered by mental health issues”. 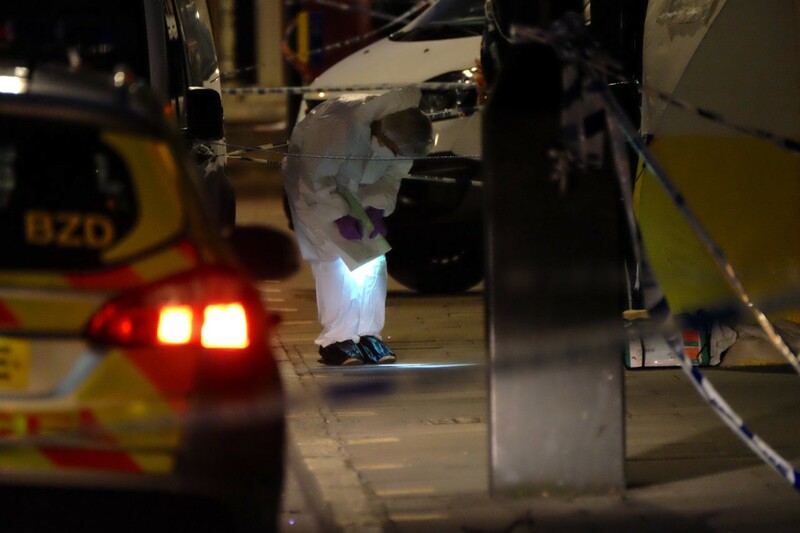 Metropolitan Police have given some more details on the attacker and victims, including the nationality of the killer — Norwegian — and his heritage which is described as “Somali Origin”. Police are still emphasising that they do not believe the attack was motivated by terror, and there are no indications of radicalisation. The attack has been described as “random and spontaneous”. The murdered woman, described as being in her 60’s has been identified as an American citizen. Those injured are British, American, Australian, and Israeli. 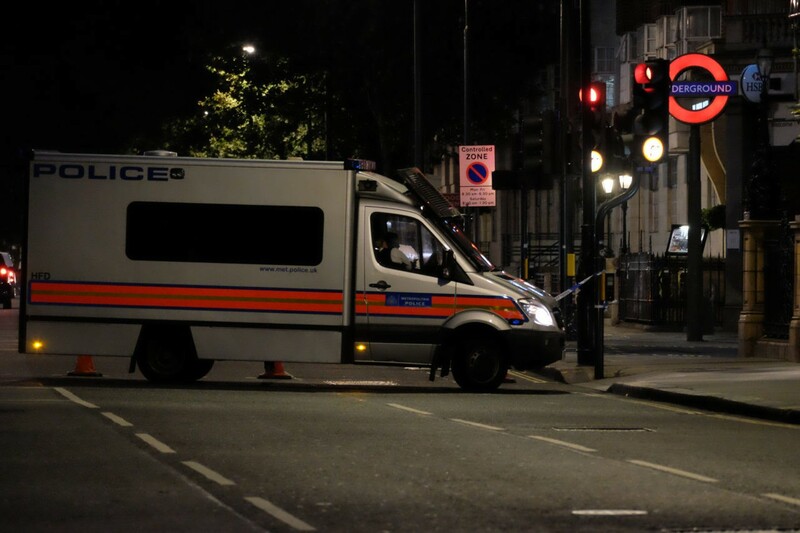 Extra armed officers have been deployed in a high visibility precautionary role this morning after police received reports of a man attacking people in Russell Square at 10:33pm yesterday evening. 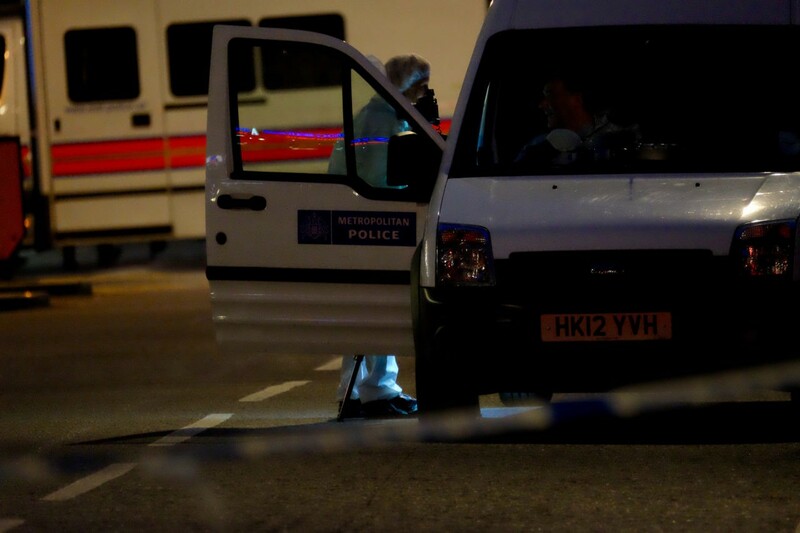 Officers responded to the incident within five minutes of the first call according to a Metropolitan Police statement. Discharging a Taser stun-gun, officers were able to arrest the attacker. The arrival of officers and ambulance crews were not fast enough to save the life of one victim, a woman described to be in her 60’s who was pronounced dead at the scene. 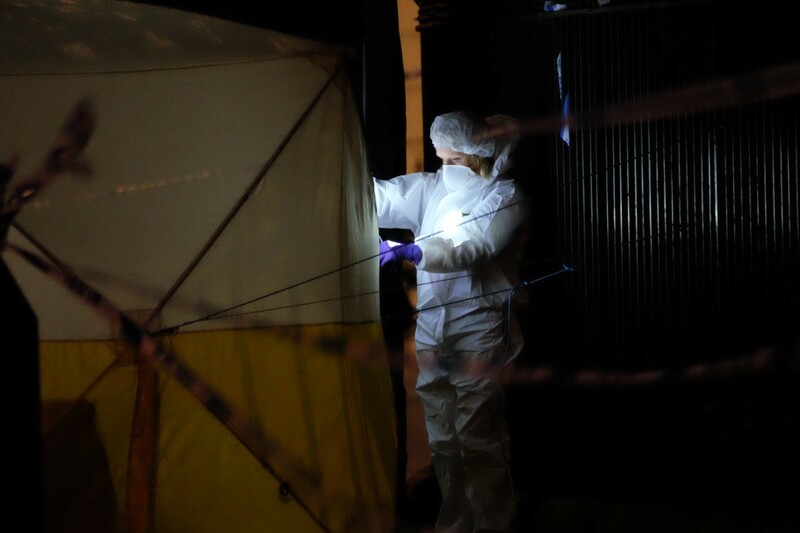 A body bag was observed to be removed from Russell Square in the early hours of this morning. Another woman and four men were injured and as of this morning two have been discharged from hospital, suggesting they had relatively light injuries. The attack came on the same day the Met Police announced 600 extra, armed police officers for London and just days after the head of London’s police said that an attack on the British capital was a matter of “when, not if”. 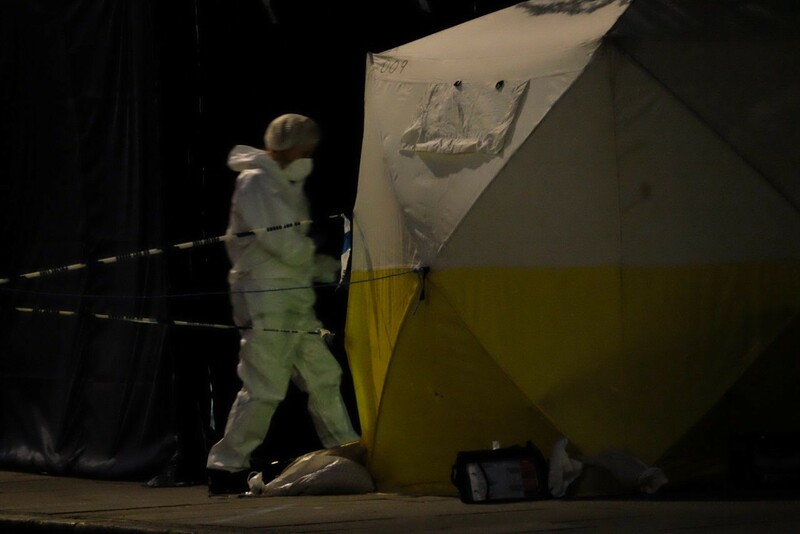 The Metropolitan police Homicide and Major Crime Command is being assisted in their investigation by the Counter Terrorism Command, and a spokesman for the force has said they are keeping an open mind over a potential terror motivation for the crime, although mental health issues are also being considered. Initial speculation that suggested “gang violence” was responsible appear to have now been discounted on by police. 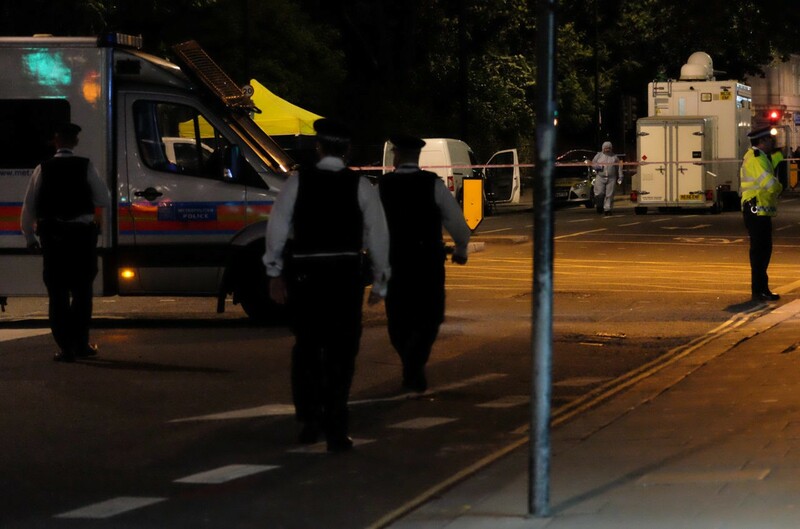 The identity of the attacker is presently unknown, with London’s police declining to provide a description. Eye-witnesses reported by Sky News have described the killer variously as being “dark skinned, possibly African”, and being a “chubby faced white man”. 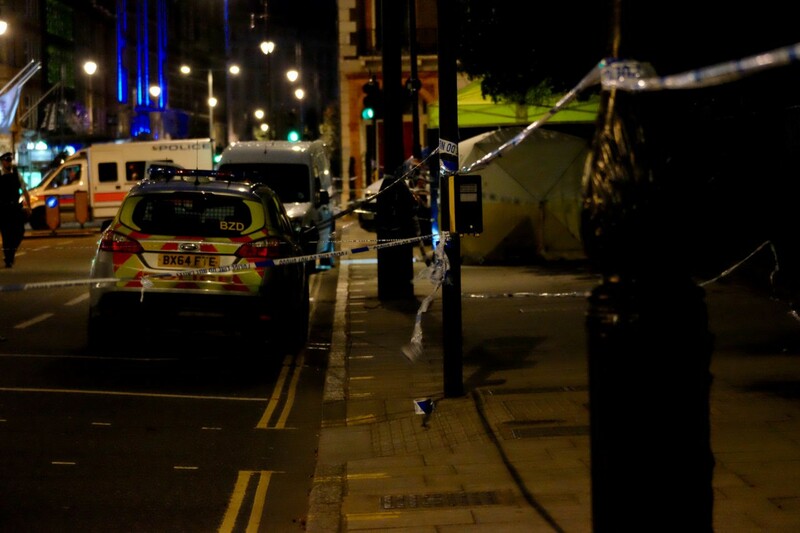 The Mail reports that Paul Hutchinson, a taxi driver, said: “I drove past Russell Square and the road wasn’t shut but the pavement was all taped off by police, lots of armed police, lots of cars and the body was just lying on the floor. You could see the boots sticking out from under the cloth. 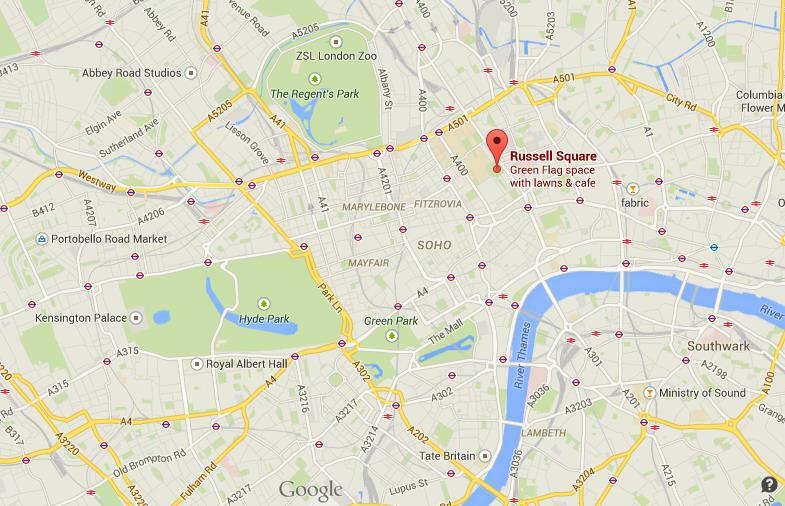 Russell Square was one of the sites of the 7/7 bombings of 2005, when 52 people were killed by Islamist terrorists. In December 2015 a knife man was tasered and arrested at Leytonstone tube station after stabbing three people. Attacker Muhaydin Mire was heard to be shouting “This is for Syria, my Muslim brothers” as he stabbed passers by. He was sentenced to life imprisonment. Russell Square is, though usually quiet at that time of night, a location populated by students, tourists, social housing, and just moments away from London’s legal district. It is a nine-minute walk from the British Museum.